Allegedly, it was not aliens and everything is fine. But as far as I can tell it was two alien ships battling it out over the Pacific. Looks a bit like a tr3b black manta, one of ours you can see the lights and the triangle shape. Heaps of sightings of it. This picture actually made me curious about something. How does the Flat Earth model of the sun rotating around the Earth explain this? 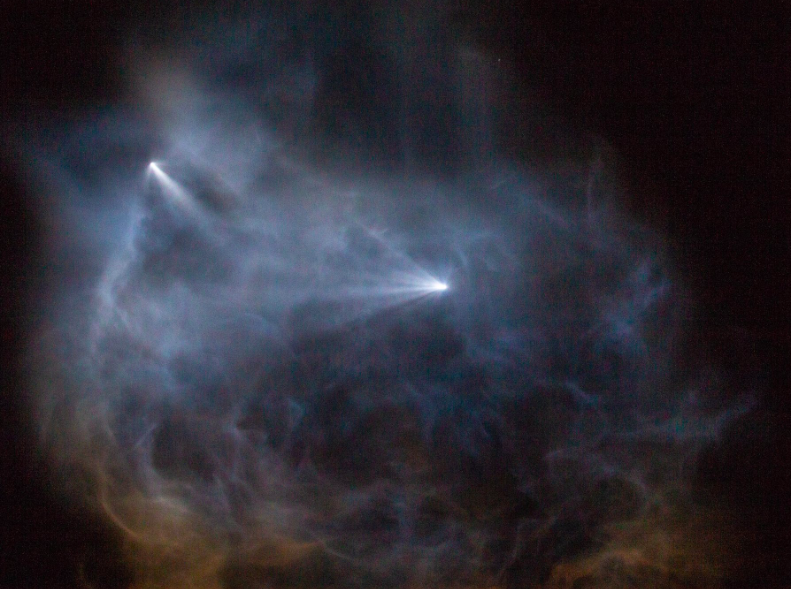 The picture shows the light from the sun illuminating the rocket plume. Another example of this is that you can watch the sun set on the ground and then take an elevator up to the top of the Burj Khalifa and then watch the sun set again. Wouldn't the Flat Earth model actually have the opposite effect? This is a serious inquiry. I'm new to all of this. But as far as I can tell it was two alien ships battling it out over the Pacific.